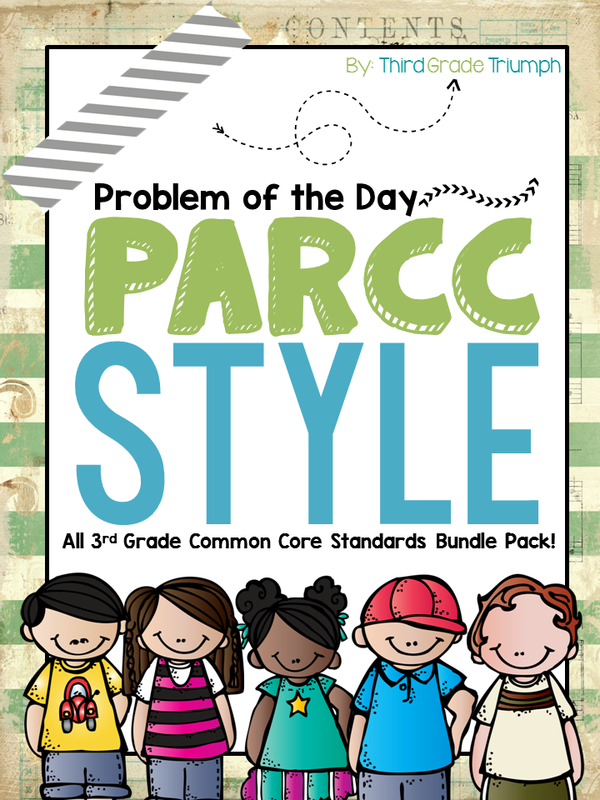 The Best of Teacher Entrepreneurs: Math - "PARCC Problem of the Day Bundle Pack"
Are you a PARCC state? Are your students prepared for the PARCC? Are they familiar with the question types, language, and organization of the PARCC? These are all questions that have been pondering in my mind for quite some time. I have searched all over the internet for quality PARCC resources, but to no avail. That's why I created this bundle pack. This bundle pack features all CCSS and poses each question type as a problem of the day, which is great for open discussions and great opportunities for students to agree/disagree with one another and to justify their thinking. These questions are rigorous and I only complied this after doing extensive research on the PARCC assessment. This resource will expose your students to the language, rigor, and organization of the PARCC. I also have a bundle pack available as a freebie and that can be found here!